The low-lying Atlantic port city of Charleston is threaded by dozens of rivers and creeks, making flood drainage an important issue since its 1680 founding. In recent years the combined challenges of sea level rise, heavier downpours, tidal flooding, and increased development have worsened these conditions. Tidal flooding in the 1970s averaged twice per year. By the early 2010s tidal flooding had risen to eleven times per year and is projected to strike up to 180 times per year by 2045. 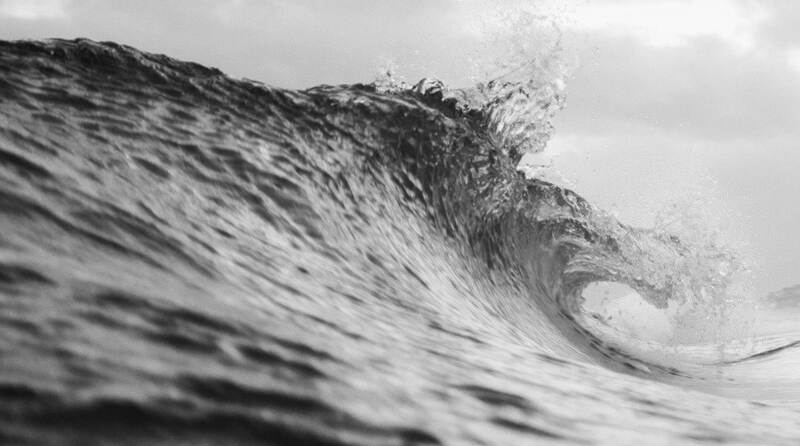 Moreover, sea level could rise significantly by 2100. The Digital Coast and many partners are coming together in an effort to help the city weigh the impacts of sea level rise and work toward ongoing resilience strategies. 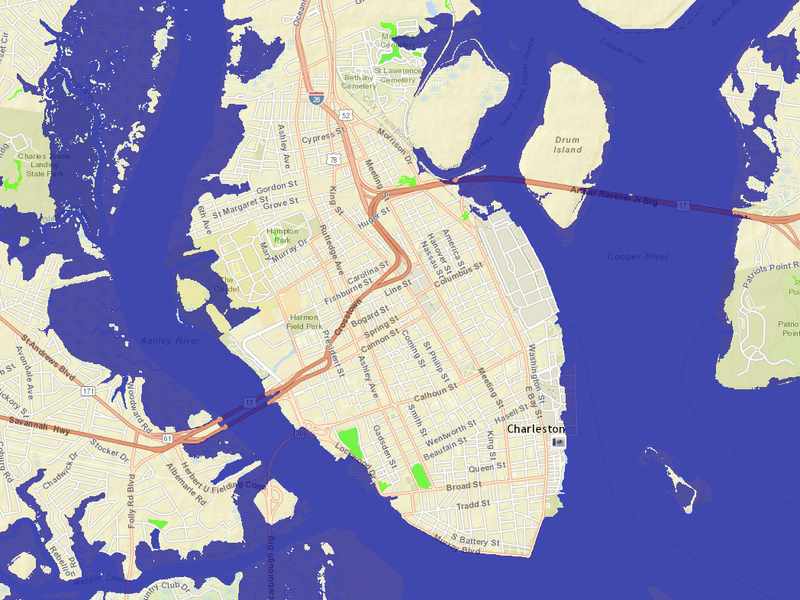 NOAA’s Office for Coastal Management used the Sea Level Rise Viewer’s flood projection maps, digital elevation models, and realistic visualizations to show City of Charleston planners and engineers how local streets, landmarks, and infrastructure would be affected if sea level rises an additional one to three feet. The local forecast office of NOAA’s National Weather Service also provided information and feedback to city council through the Charleston Resilience Network. The network brings together organizations to understand vulnerabilities, educate stakeholders, and foster a unified resilience and recovery strategy. 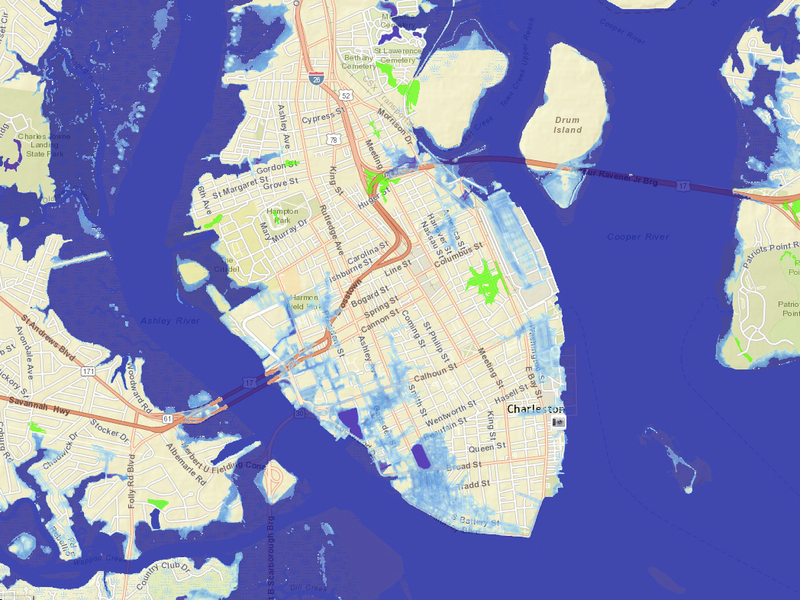 City of Charleston officials used the Sea Level Rise Viewer to visualize how three feet of sea level rise would affect the lower peninsula.